Pachinko is Japan's biggest game, played by more than 10% of the population, and brings in over $200 billion a year. What is it about this pinball-like game that continues to make it so popular with the general public? Pachinko is an incredibly fun game that is similar to an arcade game and offers the chance of winning money or prizes. Players will usually obtain 125 small silver balls to enter into the machine. The player then uses a lever to launch the balls around the pachinko machine to try and get them into pockets that will win them various prizes. The main aim of the game is to get into the pocket in the middle, known as the Start Chucker, which will result in the player hitting the jackpot and having a chance of winning the best prize. The more balls that the player can get into the Start Chucker, the better the prize will be. The game has evolved recently and getting balls into the Start Chucker now results in mini-games starting within pachinko. An example of this is a mini-game which requires the player to hit a button and doing so 100 times within a short period will result in a prize. As there are many possible mini games within pachinko, it would make a fantastic game in an online casino, where the chances to win money and reach bonus rounds would work very well. So much so that PartyCasino, a globally recognised operator is reported to be looking at creating an online version of pachinko. Gambling is technically still illegal in Japan, but the game of pachinko is legal due to a couple of technicalities. If you win at pachinko, you will not receive cash, but instead tickets, which can be taken out of the parlor to a different building and exchanged for cash. The game is very popular because players are competing to win special prizes, and the machines are often beautifully designed to reflect various aspects of Japanese culture. Many pachinko parlors in Japan feature exotic wines as the top prize, and smaller prizes can include such things as candy, beer and toys. Some parlors have restaurant areas which are designed for players to socialize with each other, where they can drink or share their winnings with each other. Thousands of new parlors have opened all around Japan, some offering pachinko balls for a cheaper price, with the idea of letting players have more balls to play with, making the game last longer and allowing them to enjoy the activity for longer. 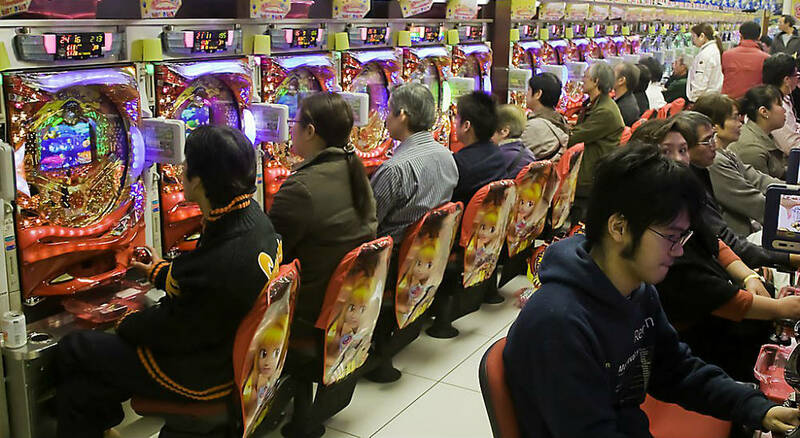 As pachinko is popular among the elderly, it often helps them pass the time as well as socialize. Pachinko isn't generally regarded in Japan as gambling, but just a fun game that is cheap to play with the chance of winning a prize. This is why it is so popular with the public. Furthermore, the parlors are open to allow friends to go socialise and play this game with each other at a low price. Thus making it the perfect game for anyone to enjoy. With the news that three new casinos are set to open at family resorts, we look back at the state of gambling in Japan before this momentous change, to discover how it might affect society in general and its leisurely pursuits.